This episode was recorded in July 2018. Note: The audio for this episode was recorded in a public place and may be echo-y or hard to hear at times. This episode was produced by Mike Rapin, edited by Tia Vasiliou and Jason Latour, and arranged by Zander Riggs. Have a question? Want us to talk about a topic? 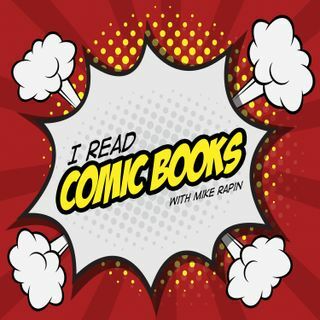 Submit discussion topics to our subreddit /r/IReadComicBooks or our Goodreads group andget a hold of us in the comments or here: ircb@destroythecyb.org – @ircbpodcast & #IReadComicBooks.